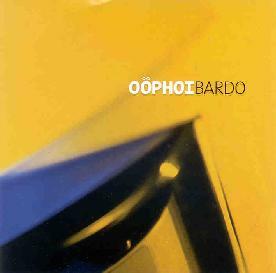 Oophoi is the moniker used by Italian composer Gianluigi Gasparetti who is also the editor of Deep Listenings, an Italian language magazine dedicated to electroacoustic music. The Bardo of the title is a Buddhist term referring to a meditative rite of passage from Life to Death. Over 74 minutes Gasparetti covers four of the six Bardos, the main musical theme consisting of wind tunnel drones that weave a slow but determined path that hums and pulsates like a mantra in the listeners head. Electronics, bells, gongs, Tibetan singing bowls, various percussion, and ghostly voices provide color and embellishment though the mantric drones and their gradual evolution are the primary focus. The music is highly meditative but the drones create an intense sonic landscape that gave me the sensation of being in a deep sleep but ready to spring into action at the first ring of the phone or the morning blare of the morning alarm clock. The album covers four of the six Bardos starting with "Samten Bardo - Contemplation", on to "Chikai Bardo - Dissolution", to "Chonyi Bardo - A Path Of The Lights", and finishing with "Sipai Bardo - Crossing The Bridge Of Existence The Eternal Cycle". My favorite is the nearly 30 minute "Chonyi Bardo" which opens with a call-to-prayer sound that has a didgeridoo effect along with sparse but well placed percussion. Drones still form the structural foundation of the piece, but siren-like synths combine with the drones giving the soundscape an almost melodic feel. Soon an ethereal howl starts to "sing", blowing over the rumbling droneswept landscape, followed by a male choir chanting in a style that again has the effect of a droning didgeridoo. Standard percussion and bells and are more in evidence that the previous tracks and the music begins to reach almost symphonic levels while still retaining it's meditative (though intense) quality. And for those who enjoy the symphonics of "Chonyi Bardo", "Sipai Bardo" reaches even higher levels of volume and intensity. In summary, Bardo is a work of both subtlety and majesty that succeeds in creating variety within the scope of a single sound theme. Fans of soundscape music will find lots to discover over repeated listens.